CT2602 - 100% polyester. UA Storm® technology repels water without sacrificing breathability. 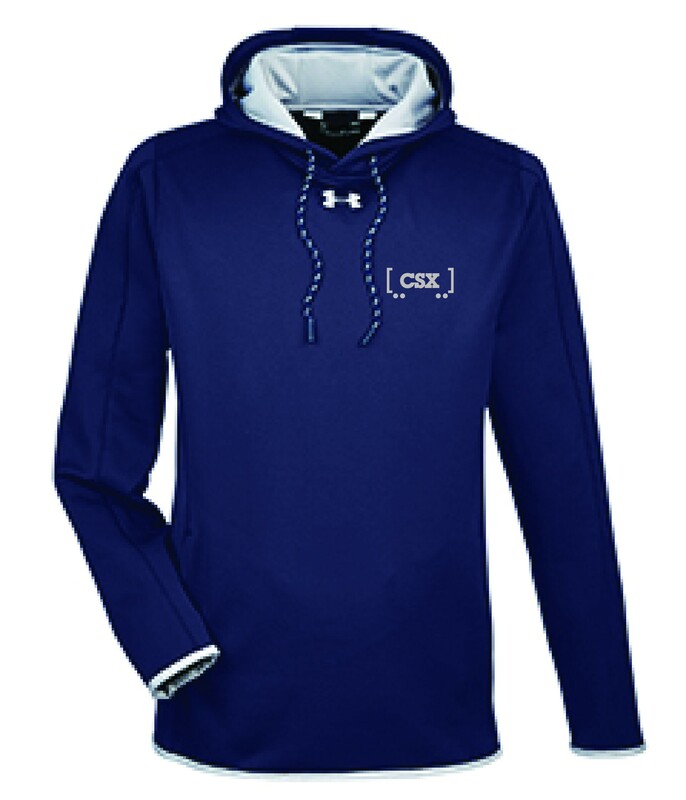 Armour Fleece® is light, breathable & stretches for superior mobility. Front pocket with right-side internal phone pocket. Performance loose fit. UA logo on top front center chest. 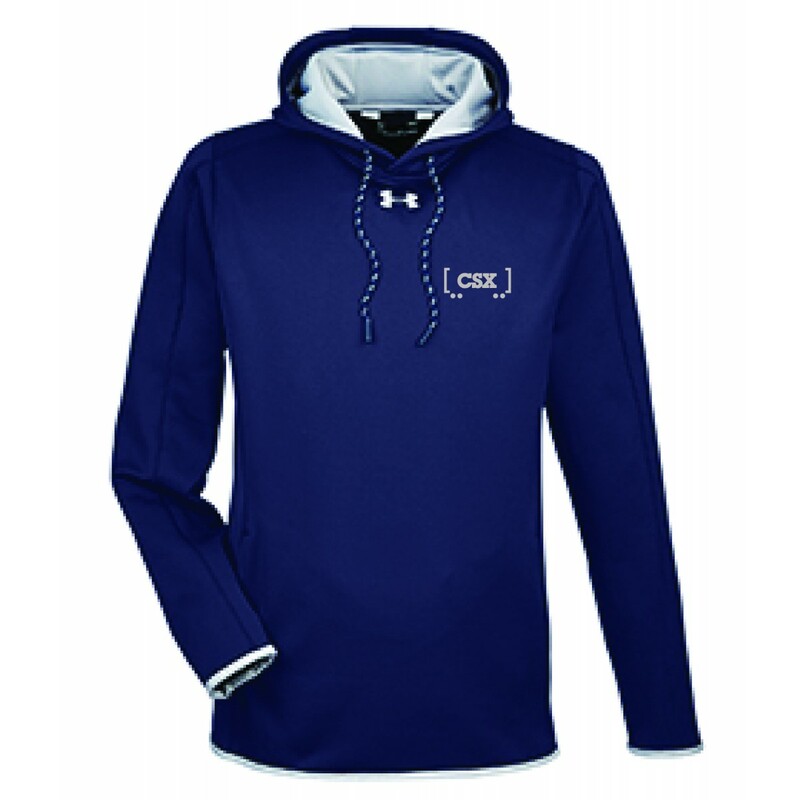 Navy blue with silver CSX railcar logo heat sealed on left chest.